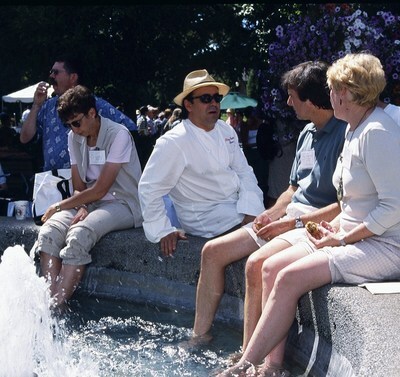 IPNC guests enjoy the fountain between Riley and Walker Halls on the Linfield College campus. Photo courtesy of Doreen Wynja and IPNC. Wynja, Doreen, "Guests at the Fountain" (2000). IPNC - Archival Photos. Image. Submission 7.